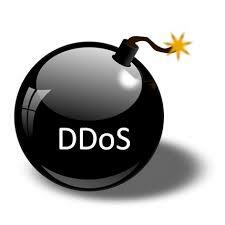 At the end of the day, it’s always the human factor that will make the difference in thwarting DDOS (Distributed Denial of Service) attacks. Our systems all have holes that can be exploited with enough human thought behind it, but it is those same human efforts that can be used to stop the exploits. The final game comes down to the same thing any competition does – who wants the prize more. It’s never the equipment or the amount of money you spend to bolster your network infrastructure – it’s also the people you have in place that make the final difference. 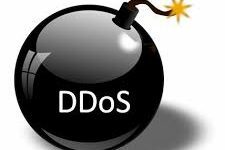 Huge Denial-of-Service (DOS) attack against CNN, Twitter, Reddit, Pinterest and others last week is proof that IoT (Internet Of Things) devices are vulnerable to takeover by botnets. The Mirai botnet that flooded the ISP (Internet Service Provider) that fed Internet to CNN and others took over control of surveillance cameras (CCTV Cameras), webcams and DVRs by the tens of millions and fed this stream of data to clog the Internet – and thus the companies that rely on it to do business. The problem lies in a default credential called ‘Root’ that many of these IoT devices, well, default to – essentially broadcasting their model numbers and software version information which allows them to be taken over. Where do people come in to aid in blocking this type of attack? The traffic all routes to a DNS (Domain Name System) managed by the ISP in this case. When an ISP deploys DNSSEC (DNS Security Extensions) for traffic to flow, it needs to deploy Best Practices in DNSSEC-signing so authentication is verified – then use people to watch, filter and limit bandwidth they observe when a DOS attack has been identified. It’s that combination of tools, people and process that can thwart these attacks. The human element always wins out over the technology.